Here are a few more to add to the list, and to use to plot out your next venture into the park. 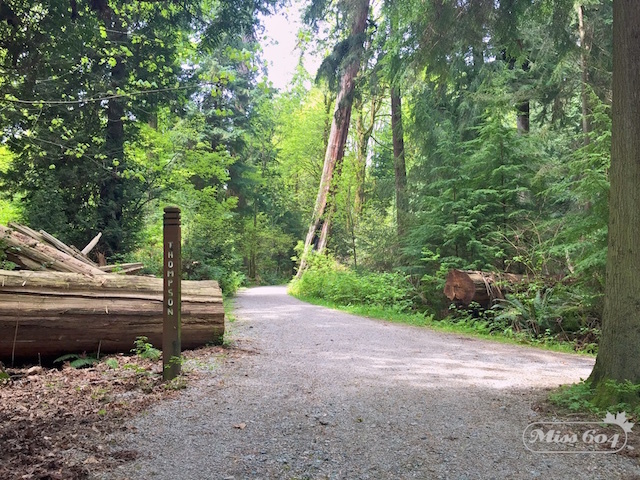 The Bridle path starts out from Second Beach on the south end, and traverses up the park, all the way to the Prospect Point trail. It’s very wide, paved with gravel, and can lead you on a loop if you ride your bike up to Rawlings and loop back. It gains in elevation but has some great views along the way. 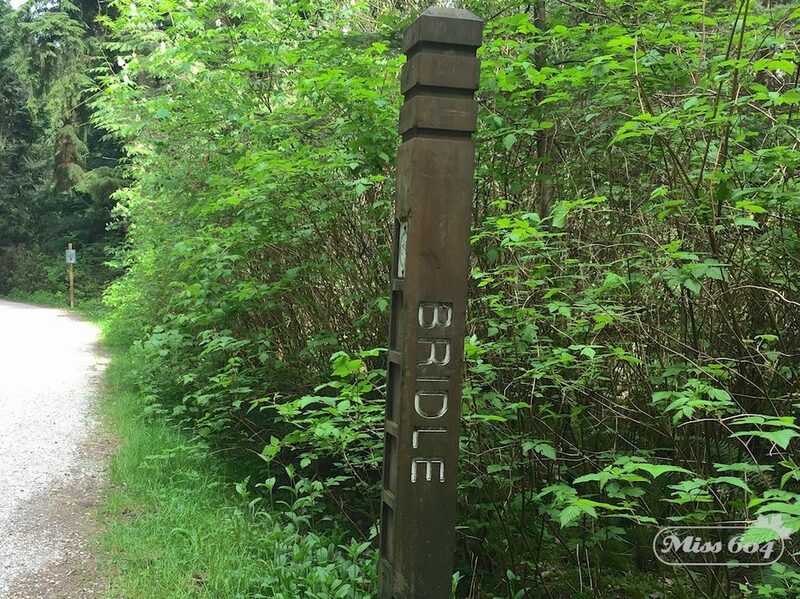 Bridle connects to Thompson just north of the causeway overpass and the Lake Trail. Turning left onto Thompson, it is home to some of the tallest trees in the park, as it climbs up hill. 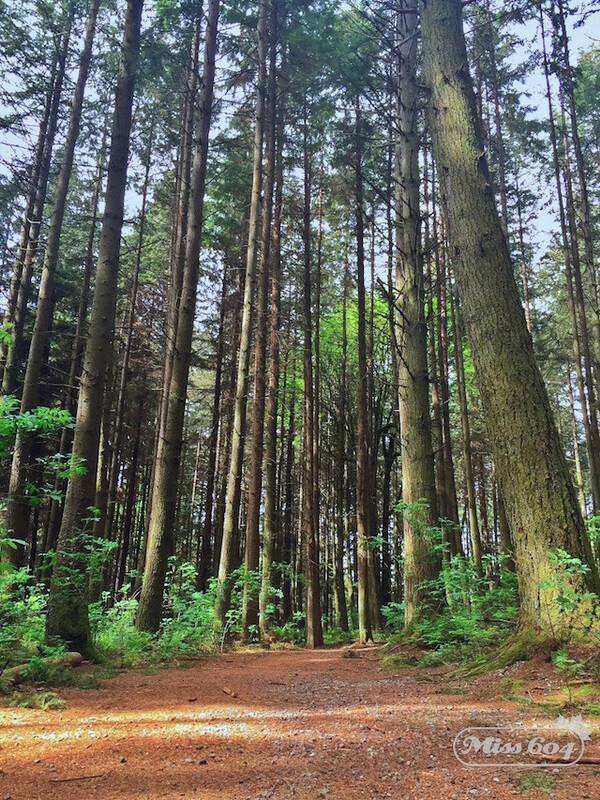 You’ll pass groves of Western Red Cedars, where the fragrant wood stands tall above the fern-covered forest floor. 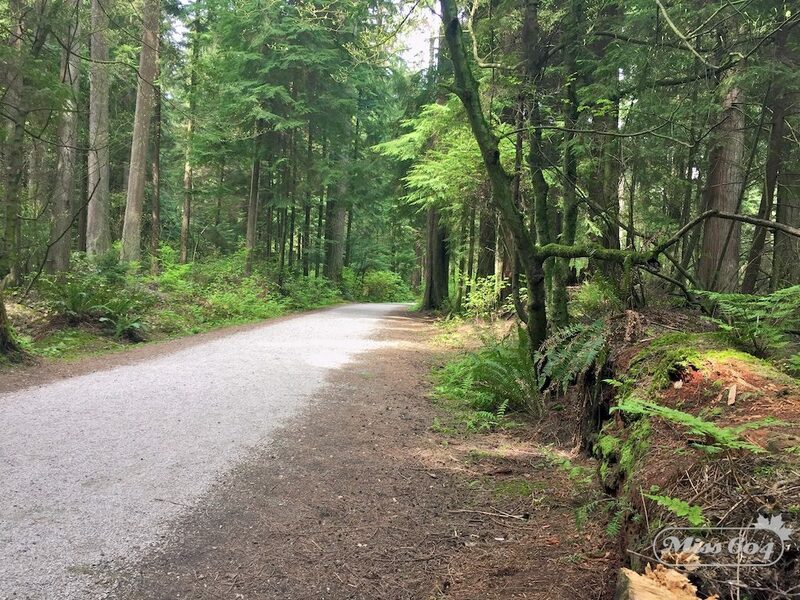 The path is wide and covered in gravel, and while it’s not a designated bike path, there is evidence of mountain bikes carving their way over stumps and mulch along the side. The Thompson Trail splits off to the right, north, and the Meadow Trail continues to the left. 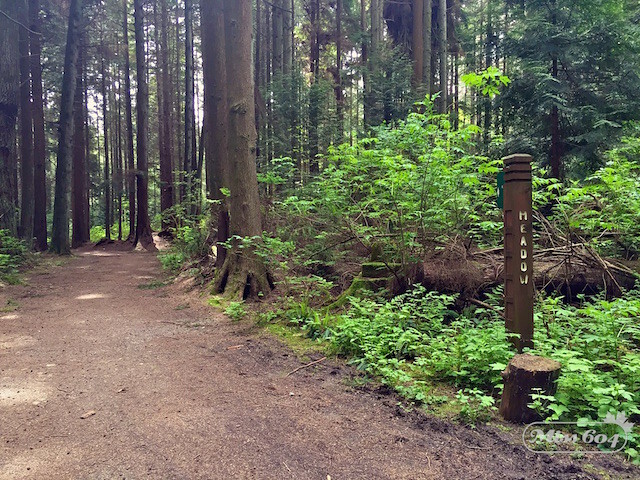 The Meadow Trail is deceiving at first, since it is also flanked by straight-as-a-arrow groves of hemlock, Douglas Fir, and Cedar. On a sunny Sunday afternoon, we were the only people on these trails. As the ferns multiply and the path opens up, you do arrive at the meadow that is adjacent to Hollow Tree. There is a parking lot, road access, and the north/south Rawlings Trail that can connect you to your next destination. 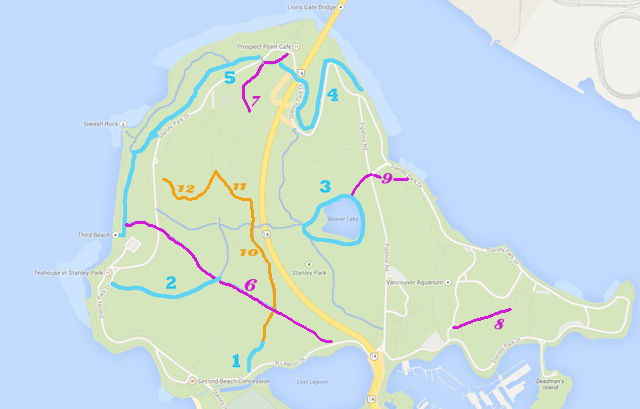 If you were to do all three of these trails — from Second Beach, up Bridle, left on Thompson, left on Meadow — it would take about 30 minutes to reach Hollow Tree, and would be about 2.5 km one way. You can download the trail map PDF or do a simple Google Maps search as all trails are also listed there. Bikes are allowed on several trails, such as Rawlings, Bridle (Prospect Point), Lovers, Beaver Lake, and Avison. Be sure to respect the environment and the sensitive ecosystem in the park by carting out what you bring in and NEVER smoke in Vancouver Parks.